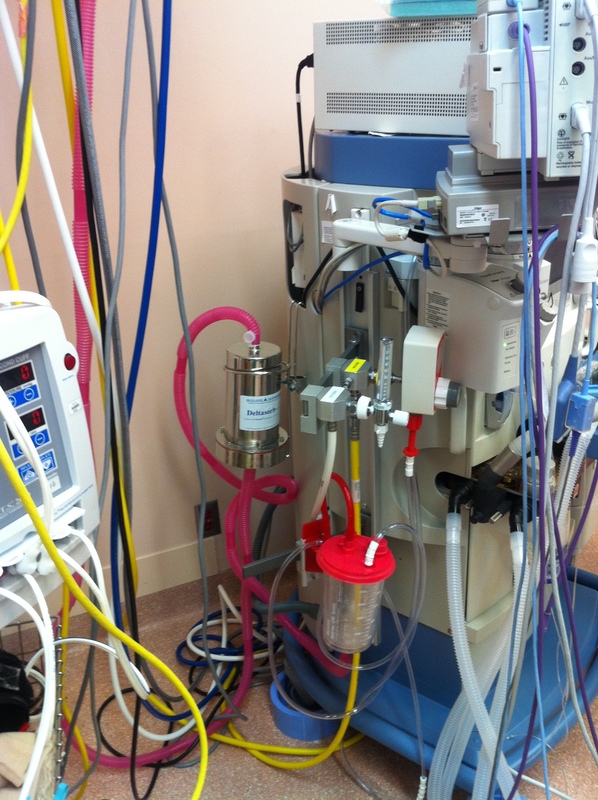 During surgery, less than 5% of the total anesthetics administered to the patient are actually metabolized. The remaining 95% are toxic gases, and are recognized as an occupational health and safety hazard. As such, these gases are routinely vented outdoors through the operating room air scavenging system. This is a significant issue for both the medical community and general public. Vented anesthetics negatively impact air quality and contribute to global warming and there are serious. concerns about their effect on human health. In North America alone, there are approximately 54,000 operating rooms releasing applied anesthetics, which amounts to about 4 million tonnes of eCO2 each year. This equates to the CO2 emissions of over 1 million cars, and these emissions are predicted to double over the next few years. These vented anesthetics are halogenated ethers, highly toxic and potent greenhouse gases, which are potentially lethal when inhaled in high dosage. The gases are seven times heavier than air and they are very stable, meaning that they have the potential to cause an adverse impact on the hospital’s local neighborhood. Scientific Fact: Anesthetics are potent greenhouse gases that have a 20-year global warming impact up to 3,766 times greater than CO2. One average size hospital annually releases emissions equivalent to about 400 cars. To offset these emissions, each hospital would have to plant approximately 125,000 trees each year. 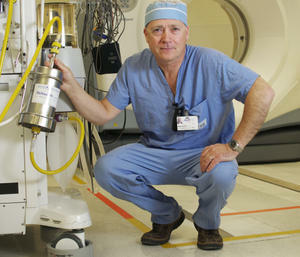 Concern: Hospital annual anesthetic emissions are expected to double. The global anesthetic market grows by about 10-15% per year. This means the market is doubling every 7 to 10 years, as do the associated emissions of vented anesthetics.